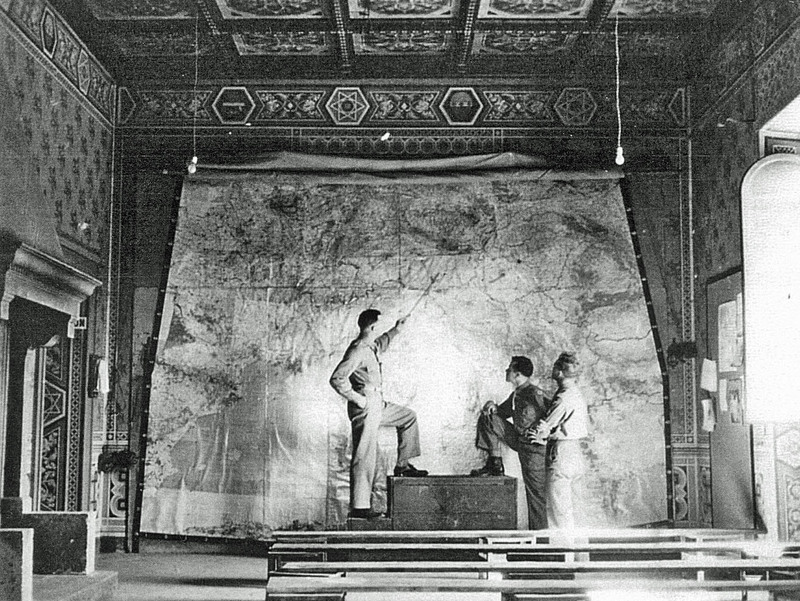 The briefing room with the big wall map, the most guarded asset of 15th SG / 885th & 859th BS. Pasquini Castle, Castiglioncello, Italy. April 1945.